WHAT MAKES A GOOD MANAGER? For some, it’s an innate ability to motivate a group, a natural charisma that can unite a team around a common goal. For others, it’s tactical acumen – an intuition for probing the minutiae of the game in search of an opponent’s weaknesses. Most football fans agree on one thing, though. A coach who has been there as a player can offer something a deskbound manager cannot; the pressure of playing in front of thousands, the joy of a goal scored in a packed stadium, the exquisite agony of a costly mistake. A manager who has experienced these moments of scorching weight can, the argument goes, better guide his charges. By that metric, Ronald Koeman should be the best manager in the world. So why has it taken him so long? By the time he retired in 1997, Koeman was already a legend. It was his late free-kick that won Barcelona their first ever European Cup. It was his 193 goals that made him the most prolific goalscoring defender of all-time. Aged 35, the boy they christened ‘Tintin’ had already endured a few adventures, becoming an icon at PSV, Ajax and Barcelona. On his retirement, Koeman was drafted into the KNVB’s management fast-track scheme, appointed as a coach under Guus Hiddink for the 1998 World Cup in France. When Holland crashed out against Brazil in the semi-finals, he left Marseille with a coaching diploma and a career of excellence to impart. It wasn’t long before the offers started coming in. After a year looking after the bairns at Barcelona B, Vitesse Arnhem made their move. Chairman Karel Aalbers had transformed the Vitas from parochial outfit into league challengers, building a stadium and team that looked intent on challenging the Ajax and PSV orthodoxy. Koeman arrived in 1999 and immediately instigated an enterprising game, leading Vitesse to fourth place and the UEFA Cup, before the club was embroiled in a fraud and tax evasion scandal. Koeman navigated his fiery baptism perfectly, leading the club to a respectable sixth-place finish the following year before Ajax came calling in December 2001. Seventeen years earlier, Koeman had finished second behind Marco van Basten in the scoring charts on his debut season as an Ajax player. Replacing the hardened Co Adriaanse, Koeman’s affable style was met positively by a squad brimming with hubris yet stifled by inconsistency. One of his first moves was to bench a certain Zlatan Ibrahimović, whose attitude in training had led Koeman to doubt his appetite for hard work. He was already a manager unafraid of tough decisions. After a difficult few years, Ajax seemed on an upward curve. Academy products such John Heitinga, Nigel de Jong and Rafael van der Vaart fought gamely for places with Christian Chivu, Mido and Maxwell. With Leo Beenhakker as technical director, everything seemed set up for glory, and Koeman duly delivered the double in his first full season. Amidst rumours that the Ajax board wished to exert more control over their young manager, Louis van Gaal arrived as technical director in 2004. Koeman had worked briefly for van Gaal alongside José Mourinho at Barcelona and the two had enjoyed a productive working relationship. It wouldn’t last. 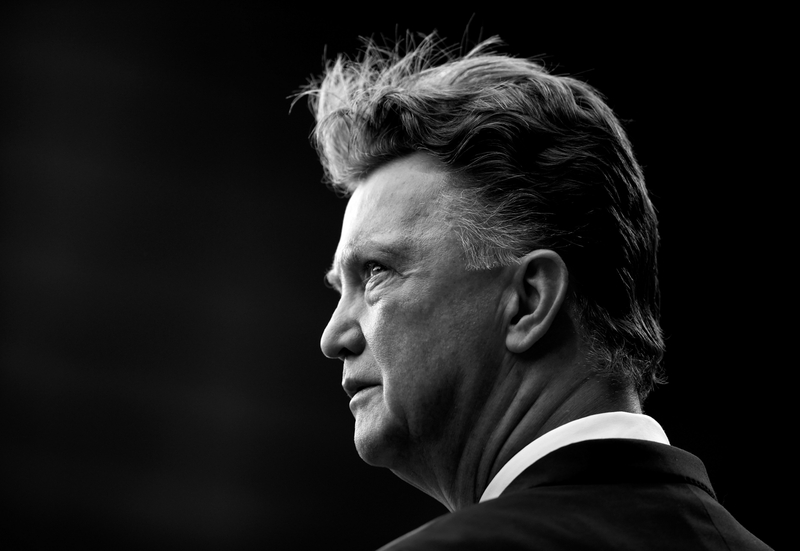 It quickly became clear that van Gaal wanted more than a passing involvement. He would regularly observe Koeman’s training sessions, interjecting at inopportune moments to offer his opinions. Koeman would quickly come to resent these intrusions, tensions mounting until van Gaal finally handed in his resignation after a 4-0 defeat to Bayern Munich in the Champions League. Van Gaal, who had led a brilliant Ajax side to the Champions League title 10 years earlier, thought Koeman should expect more from the players. 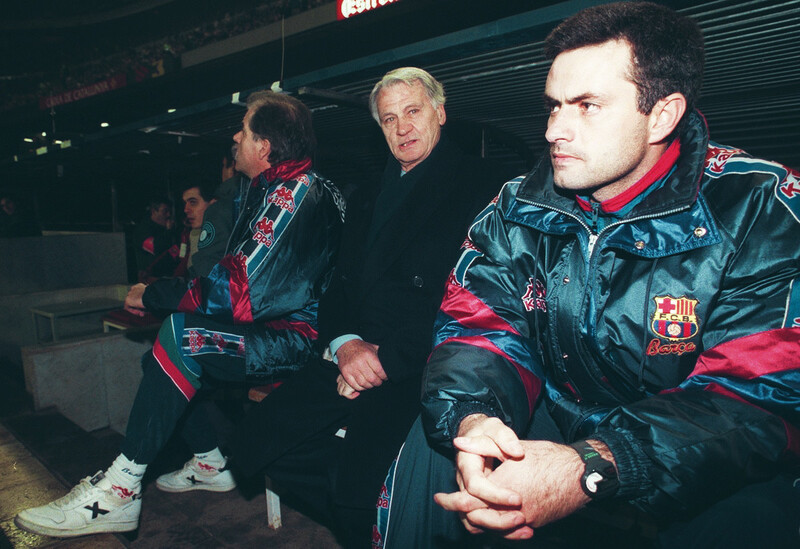 The young manager was more pragmatic, unwilling to heap more pressure on a squad that was already combustible. In the midst of his departure, van Gaal confronted Koeman about the manner of his exit. 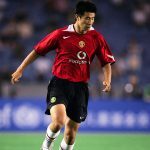 “I asked him whether he had deliberately used the media [to engineer his departure] and he said yes,” recalled the former United manager in Hugo Borst’s book O, Louis. If Koeman hoped that van Gaal’s removal would provide an uptick in results, he was wrong. Ajax continued to struggle, frictions within the squad culminating in his departure after a UEFA Cup defeat to Auxerre. “I no longer have the strength and the energy to get over this and make the team perform better,” he admitted, worn down by a dressing room of insouciant prima donnas and a conniving board. Benfica offered an escape route, appointing him as manager in the summer of 2005. Title winners the year before under Giovanni Trapattoni, the Lisboetas had just sold Miguel to Valencia and faced stiff competition from erstwhile Champions League winners Porto. Under the Dutchman, Benfica would finish a disappointing third, the Super Cup a paltry consolation as Koeman’s 4-3-3 failed to deliver. After just 12 months in Portugal, he returned to another of his former clubs in the Eredivisie with his tail between his legs. Goals win games, but that year a single goal won the championship. After matchday 20 of the Eredivisie, Koeman’s PSV led the table by a comfortable 11 points, until their form suffered an alarming arrest. On the final day of the season, they stood level on points with both Ajax and surprise package AZ Alkmaar. Only a 5-1 victory against Koeman’s former employers Vitesse was enough to secure the title on goal difference, beating Ajax by just one solitary strike. It felt more like an escape than an achievement, but victory over van Gaal’s Alkmaar tasted particularly sweet. When Koeman took over, Valencia were fourth in the table and just four points behind leaders Real Madrid. 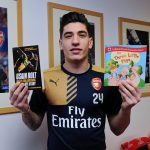 He was quick to stamp his authority on the team, dropping captain David Albelda and Santiago Cañizares from the starting line-up indefinitely. If he was looking for a reaction from his players, he certainly got it. Five months later they were just two points above the relegation places, a 5-1 hammering at Athletic prompting an end to a disastrous tenure. Just as it had in Benfica, Koeman’s 4-3-3 appeared more stodge than syrup, and Valencia lost 12 of his 22 games in charge. A Copa del Rey triumph did little to prevent the whirring white handkerchiefs around the Mestalla. Koeman’s reputation was flagging badly. After a year out of the game, he returned to the Eredivisie once more to take over the reins at AZ Alkmaar. Louis van Gaal had just led the Cheeseheads to their second ever title, going 28 games unbeaten. Again, Tintin was the victim of timing. DSB Bank, the club’s sponsor and main benefactor, went bankrupt in October 2009, with legendary president Dirk Scheringa forced to resign in disgrace. Things were worse on the pitch, AZ’s players rebelling after van Gaal’s iron regime. After seven months and just nine wins, Koeman was sacked again. With every job, it seemed his reputation suffered more. After 18 months spent licking his wounds, Feyenoord came calling in July 2011. It felt like one last shot at credibility. A 12-month contract hinted at a relationship where both sides felt wary of commitment. Feyenoord were a club in real danger, narrowly avoiding relegation the previous year after suffering a humiliating 10-0 defeat to PSV in the league. For once, though, timing would be on Koeman’s side. Departing from his usual 4-3-3, Koeman’s 5-3-2 formation brought an immediate upturn in results. For the first time in over a decade, Feyenoord finished as runners-up, the goals of John Guidetti bringing Champions League football back to De Kuip. In a scintillating three-year stay, Koeman again finished second in the league, building his team around academy talents like Jordy Clasie and Bruno Martins Indi. It felt like a resuscitation. Even van Gaal was impressed, adapting Koeman’s 5-3-2 for the 2014 World Cup in Brazil and bringing five of his Feyenoord players to the tournament. 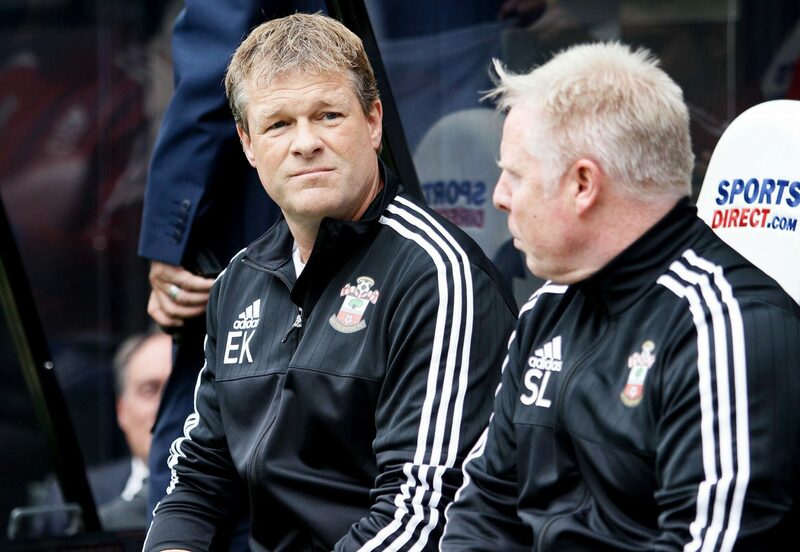 His reputation rehabilitated, Koeman joined Southampton in the summer of 2014 to take over from Mauricio Pochettino. At first, it seemed a maddening decision. Pochettino had been a revelation on the south coast before departing for Tottenham. 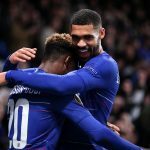 Liverpool had done their best to decimate a talented squad, plucking Ricky Lambert, Adam Lallana and Dejan Lovren from their clutches, while Luke Shaw had also left for Manchester United. The footballing commentariat were unified: Southampton would be lucky to escape the drop. After doing so much to restore his credibility, Koeman was risking it all once more. Saints fans needn’t have worried. Dušan Tadić, Sadio Mané and Graziano Pellè were all signed, as Southampton rose further in the table, finishing seventh in the Dutchman’s first full season. Only Chelsea would concede fewer goals that year, Koeman’s 4-2-3-1 flexing into a 4-4-2 or bowing into 4-5-1 when required. “I can’t remember ever seeing him nervous,” recalled Hans van Breukelen in an interview with the BBC in 2014. 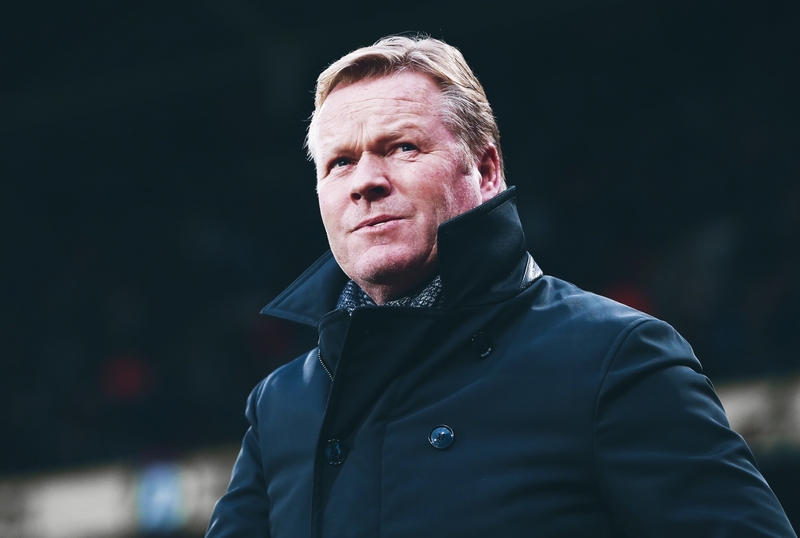 Throughout his playing career, Koeman’s icy nerve had helped him regularly dispatch penalties for club and country, and his even temperament appeared to transmit to his players on the south coast. Southampton performed with the kind of quiet assurance that typified their manager, finishing a place higher in his second year on the way to becoming on the league’s most attractive sides. Koeman, however, didn’t care. Everton fans had been driven mad by Roberto Martínez’s corporate, possession for possession’s sake milieu, and Merseyside was desperate for a change. After a difficult start, his Everton team looked like they could challenge the top six in seasons to come, but it wasn’t to be, despite Koeman’s penchant for spotting talented youth players in Tom Davies and Mason Holgate. Under the Dutchman, Romelu Lukaku became the first Everton striker to score more than 20 league goals in 30 years. However, inconsistency after a heavy spend in summer 2017 led to his sacking, mirroring some of his earlier spells in the game.